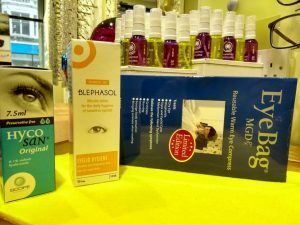 Do you suffer from dry, irritable eyes? Do your eyes feel sticky especially when you wake up in the mornings? Do your eyes water when you are outdoors or watching TV? 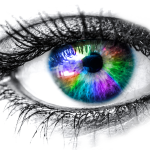 If you answered yes to any of these questions then you may suffer from Dry Eye Syndrome. However, there is no need to suffer anymore. We can offer you a Comfort Eyes Consultation, where one of our expert optometrists will look at the issues which contribute to dry eye and hay fever symptoms. 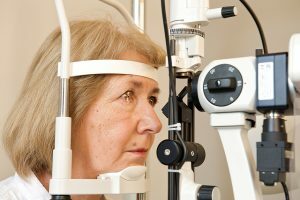 After careful analysis of your symptoms and your eyes, they will be able to provide various strategies to combat these problems and you will be offered a bespoke solution to help your eyes become more comfortable. We have a wide variety of comfort eye products in store to help alleviate your symptoms and the Optometrist will give you expert advice on which are most suitable for you to use with detailed instructions and follow up to ensure that progress is being made. So don’t suffer any more! Contact one of our team and book a Comfort Eye Consultation today.